The use of silver as a highlight and the darker copper as a shadow creates a sense of dimensionality in the lettering, making it "pop". San Francisco, Ca. 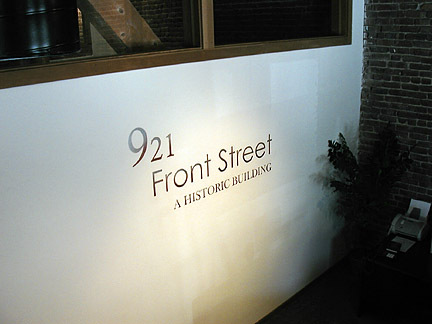 For more images of 921 Front Street, click link below.